The former ANC MP says reducing being African to drinking umqombothi is ‘covert racism’. 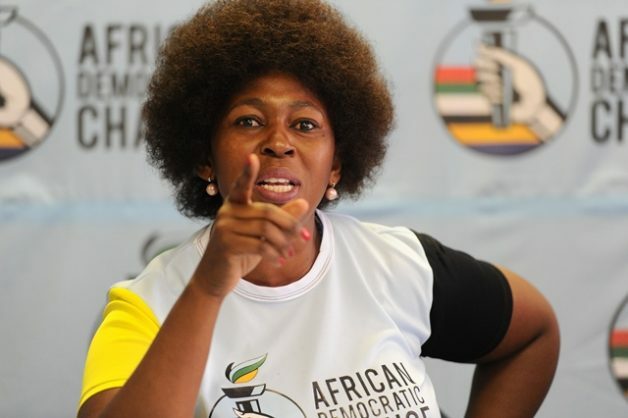 Former ANC MP Makhosi Khoza has apologised to DA leader Mmusi Maimane for accusing him of “trying hard” to be black. Khoza was responding to Maimane’s picture on Twitter of him drinking umqombothi after successful lobola negotiations over the weekend. “Today had the great privilege of negotiating the future of a new family. Lobola is a special occasion. Thank you to the family for upholding tradition. We look forward to a great future for this couple and families in SA. Umqombothi is great. Special,” tweeted Maimane. Khoza responded to “poor” Maimane and said his “blackness pursuit” was foreign to her. Khoza received criticism for her “personal attack” on Maimane. While some said her comments were unnecessary, others said she was trying too hard to stay relevant. The former ANC MP later apologised to Maimane and said reducing being African to drinking umqombothi is ‘covert racism’. “Subsequent to my tweet yesterday about Mmusi Maimane, I understand why my comment was seen as a personal attack on his person. This was not my intention and accordingly, I apologise to Mmusi for this. “Jacob Zuma did so much damage to stereotype black Africans. I did not expect Maimane to do same,” she said. However, she admitted that Twitter was an inappropriate platform to raise such issues as one could easily be quoted out of context. She then took her debate on umqombothi to Facebook with a lengthy post on the history of the traditional beer. “I stand by my view that black African culture cannot be reduced to an alcoholic beverage. Culture is a mirror of one’s identity. Within this context allow me to focus on my mission of reconnecting a black African child with her mathematical intelligence encrypted in her language,” she concluded.